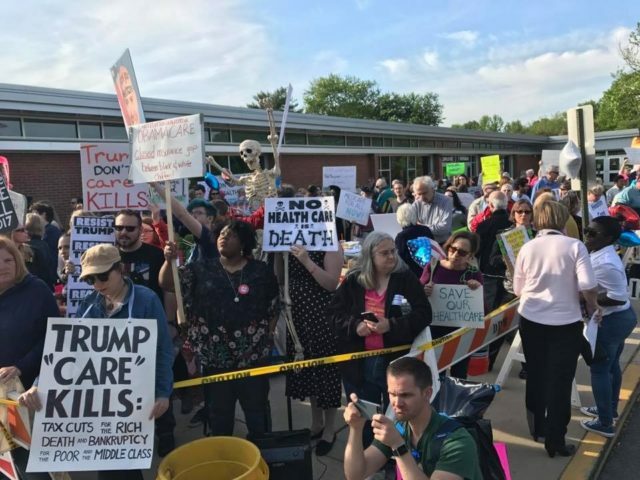 HPAE joined hundreds of people last night in Willingboro, NJ to protest Congressman Tom MacArthur’s role in crafting legislation passed by the House of Representatives that “repeals and replaces” the Affordable Care Act (ACA). 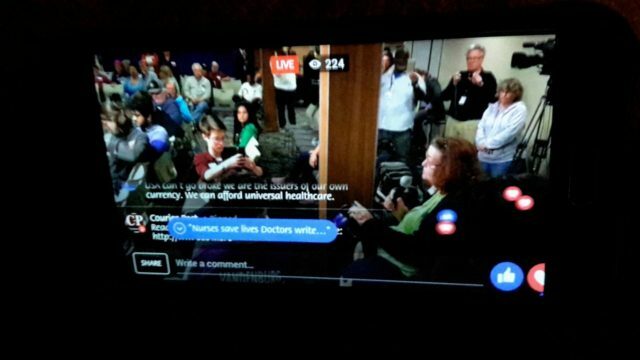 On behalf of HPAE, Storicks read a statement at MacArthur’s Town Hall, which was held in the Kennedy Center in Willingboro and attended by 500 people. Meanwhile, hundreds of people rallied outside to protest MacArthur’s role. Click here to read a press release from HPAE on the event last night. Click here to read an article from the Guardian on the Town Hall.